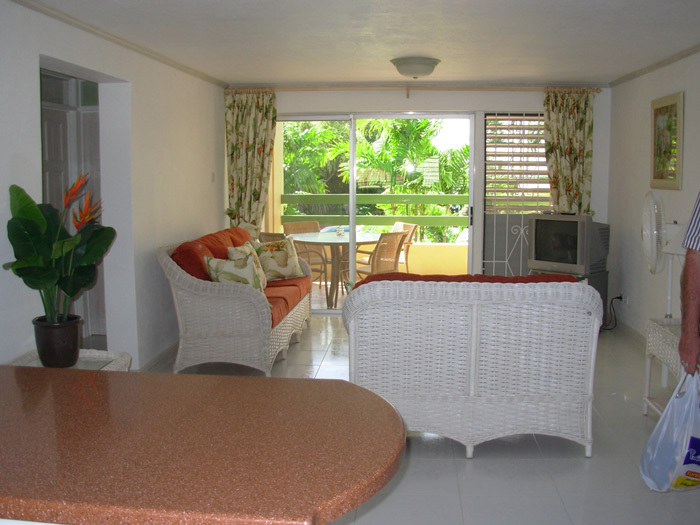 An attractively refurbished apartment situated in the much sought after Banyan Court Apartments in St Michael, Barbados. 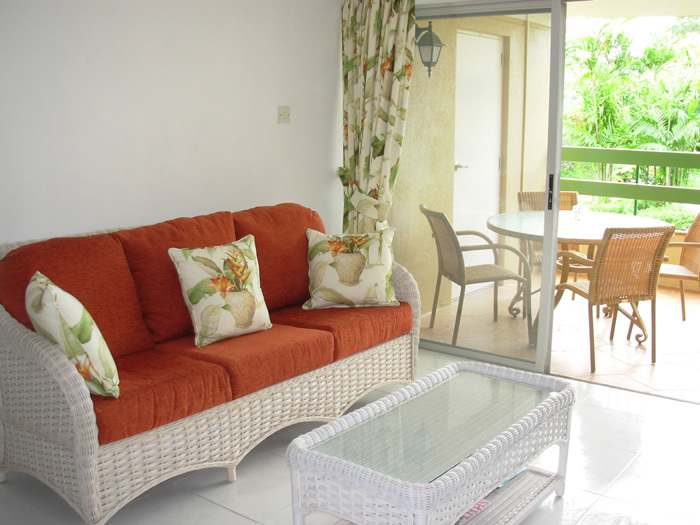 Available for short term (1-4 weeks) and medium term (5-12 weeks) holiday rentals. This apartment boasts one of the better views within the whole complex. 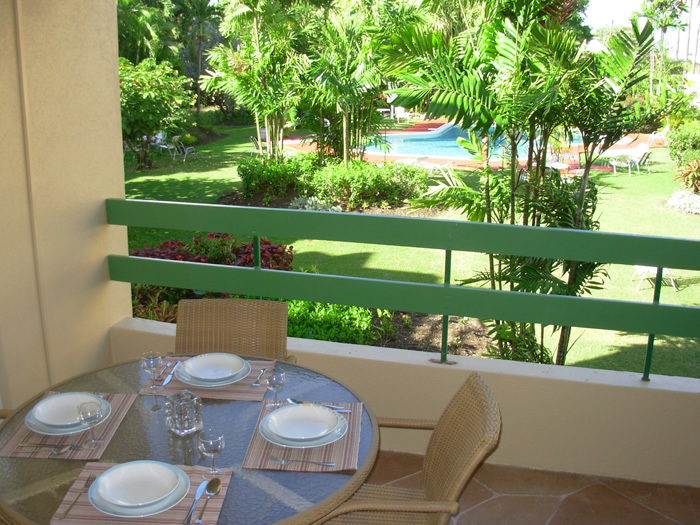 It is located on the first floor and overlooks the shared swimming pool set in beautifully maintained and well-established grounds. 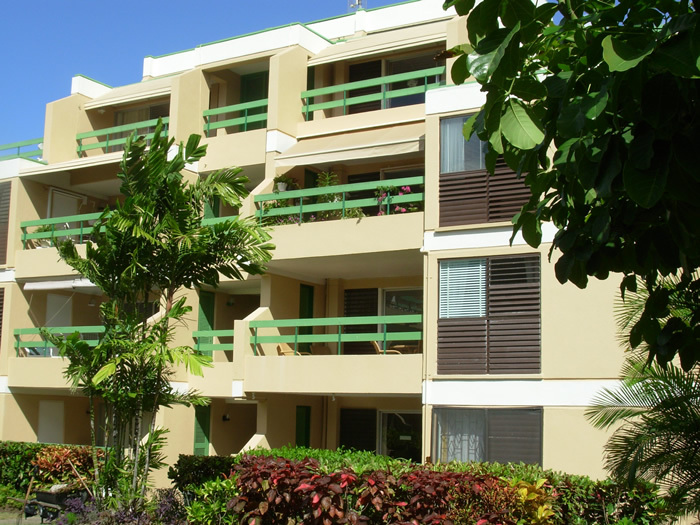 Banyan Court is one of the more established apartment complexes on the island and as such is a very popular rental. 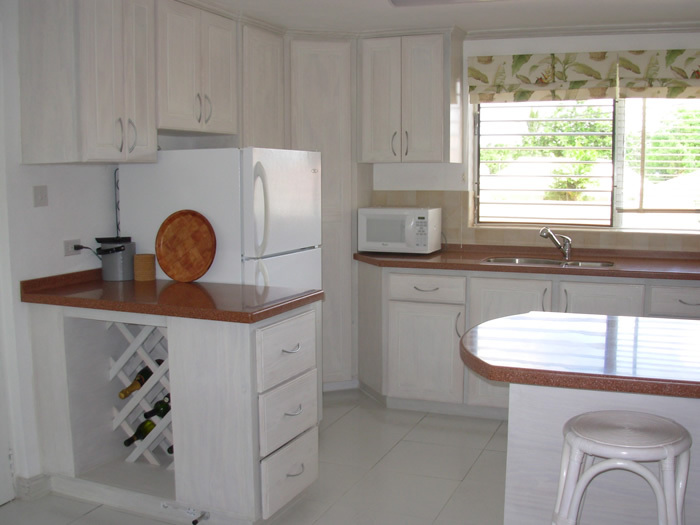 It is ideally situated within walking distance of many beaches and is only a 10 minute drive away from Bridgetown, the capital. 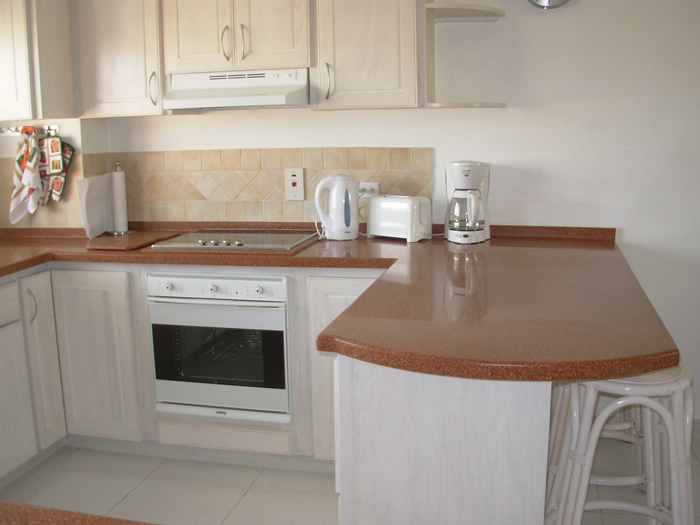 The apartment has undergone a total refit, with new ceramic tiles throughout, new built-in and fully equipped kitchen with all appliances, new doors, built-in wardrobes and new walk-in showers in the fully tiled bathrooms. It contains two good sized bedrooms (one double and one twin), two bathrooms, a spacious lounge, kitchen and large patio. 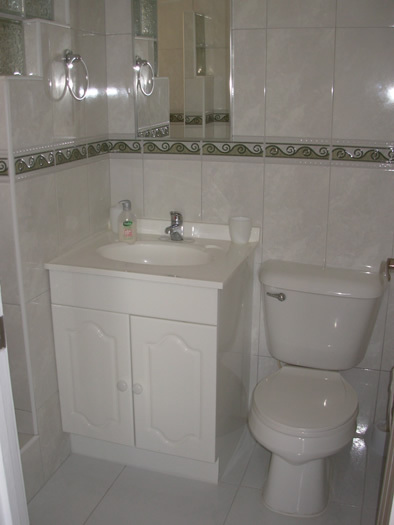 The apartment has been very tastefully furnished giving it a fresh and modern appearance. 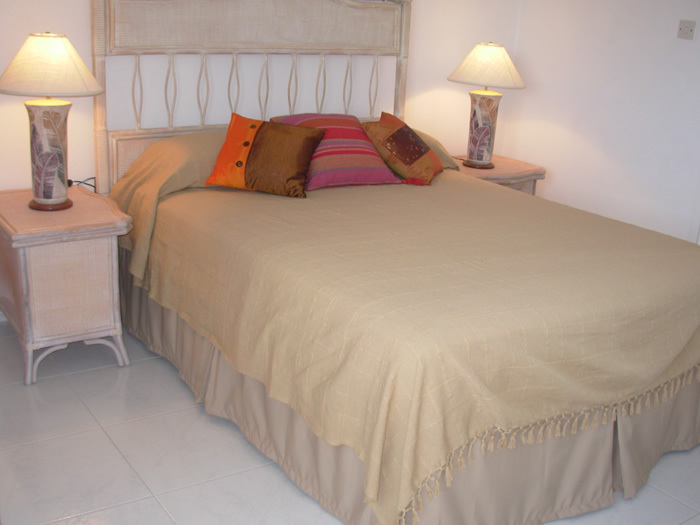 Both of the bedrooms have air conditioning units as well as free-standing fans. There is a queen sized bed in the master bedroom and twin beds in the second bedroom. In the lounge there are two settees, a coffee table, two side tables, a free-standing fan and cable TV. There is a breakfast bar at one side of the kitchen for your everyday meals, as well as a dining table and chairs situated on the patio for informal dining. 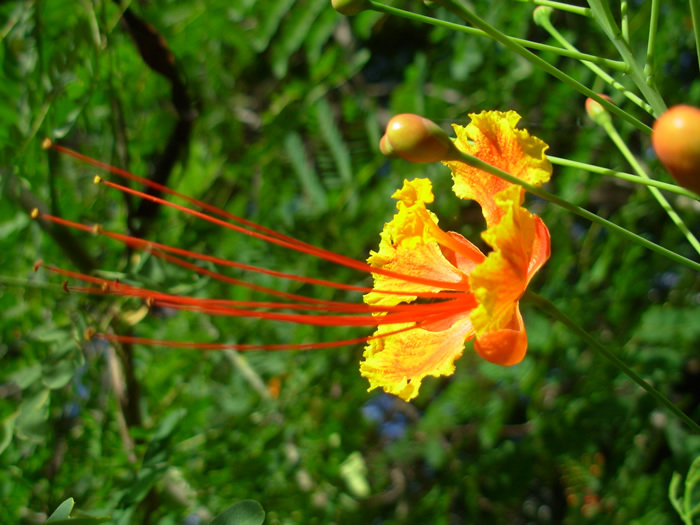 Barbados is one of the most popular island destinations in the Caribbean. 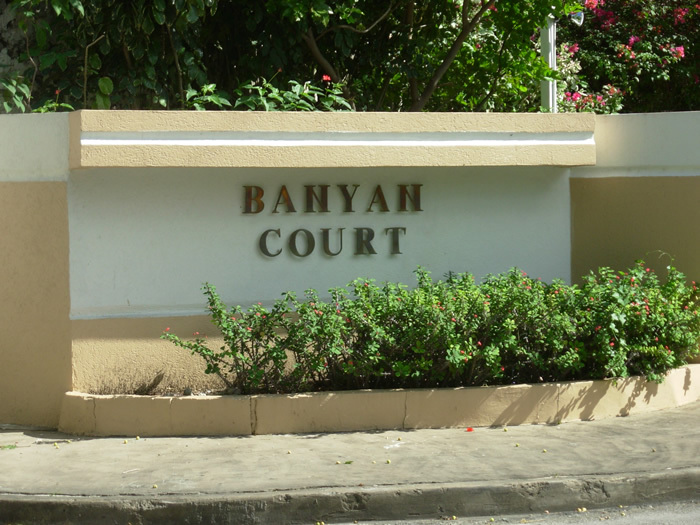 The Banyan Court complex is situated on the south coast of the island, set just off the main road to Bridgetown and only a 10 minute drive away from the capital. It overlooks the popular Yacht Club and is within a 5 minute walk from the beautiful beach of Carlisle Bay, the Radisson hotel and the Hilton hotel. 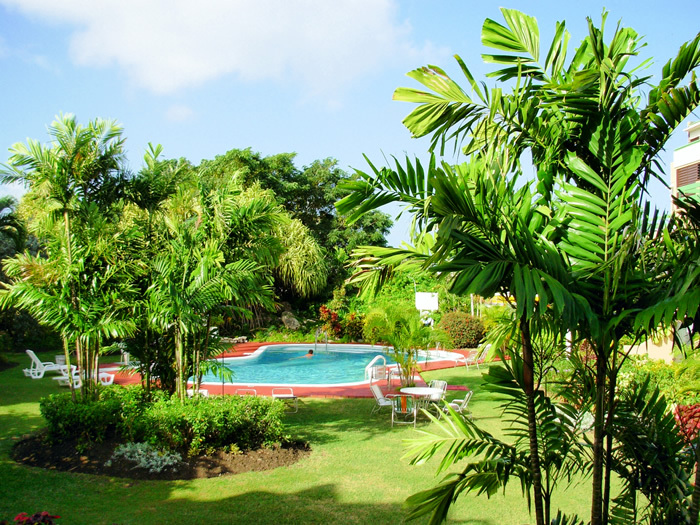 It is also within easy driving distance of the very popular Rockley Beach and St Lawrence Gap, renowned for its lively nightlife. The Garrison Savannah, famous for its regular horseracing meetings, is situated just around the corner. There is also a small shopping plaza across the road and convenience stores located nearby. The complex is well maintained, quiet and relaxing in a friendly and secure environment occupied by both locals and visitors. 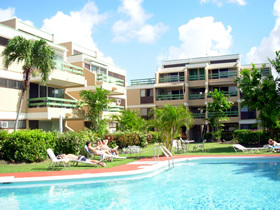 It is a very well maintained apartment complex with lovely grounds. Prices quoted are per night for a maximum of 4 people, and include all utilities and use of the phone (local calls only) as well as unlimited free WiFi. Longer fixed-term rentals (13+ weeks) are available, subject to availability. The rate is US$ 425 per week. Payment for utilities is extra. Please use the form below to make an enquiry or booking. 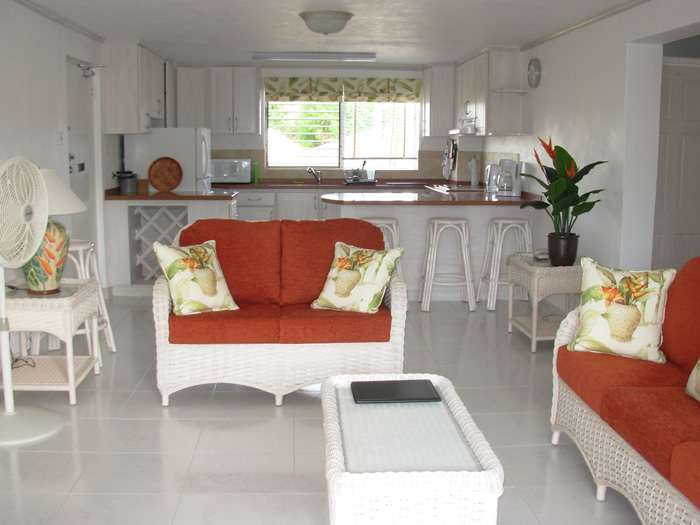 If you have any questions about the apartment, the Banyan Court complex or your stay in Barbados we will be happy to help you. 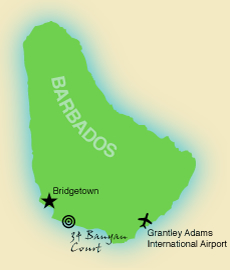 If you're making a booking be sure to state when and for how long you plan to be in Barbados. Please tell us how you heard about or found our website. A 25% deposit of the total is required for all short and medium term reservations. Bank details will be sent on receipt of the reservation and your deposit is requested within 7 days of receipt of this information. Unfortunately we do not accept credit cards or personal cheques. The balance should be paid at least 28 days prior to arrival but payment of the balance on arrival is acceptable. If a guest cancels a short or medium term reservation at least 4 weeks prior to the commencement of the rental then 50% of the deposit paid is refundable. If the cancellation is made between 28 and 15 days prior to arrival the deposit is not refundable and 50% of the balance of the fees is payable. If cancellation is made less than 15 days prior to arrival or after the guest has arrived, the deposit and balance of rental is payable. All bank charges are paid by the guest. We strongly recommend that our guests take out an insurance policy to cover possible cancellation. For longer term bookings a deposit equal to one month's rental is required. Rent is then due monthly in advance. The tenancy agreement is for a limited term and one month's notice in writing is required if clients want to leave before the agreed date. In most cases we can be flexible with these times to fit in with our client's flight times. We regret that we do not normally accept children under the age of 12. For the comfort of our guests we also ask that guests observe a no-smoking policy within the apartment. We also ask guests to kindly observe the very simple and common-sense "rules" concerning life in the Banyan Court complex. These rules are outlined in a presentation folder awaiting your arrival. You can request a copy in advance if you like. We do not ask our guests for a security deposit. We would, however, ask guests to replace items broken during their stay. To save you time we can replace them and send you an invoice for immediate settlement. Under no circumstances will we accept liability for any injury sustained to our guests or their visitors whilst on the premises, or for loss or damage to their personal property.